I remember my college professor making the point that the problem with visual representations “based on facts” is that they do not become “based on”, but “facts” when introduced to a wider audience. With this thought in mind, I offer many criticisms of The Bible that is airing on the History Channel up until Resurrection Sunday. Why am I being critical? 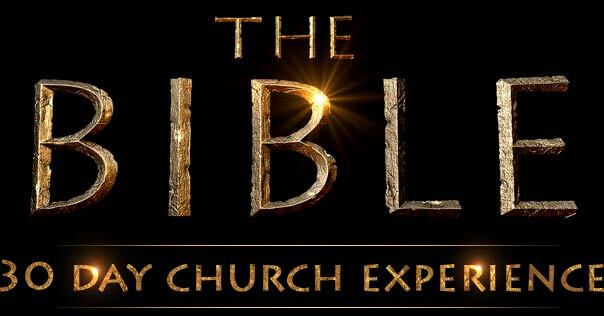 Because this series is being aimed right at families, churches (as you can see in the photo above), and non-Christians since it’s being featured on the History Channel. As a fan of the channel, I’m even a bit trusting on the facts, so I’m going to expect them to do a good job on this one since we all have the script right? I watched episode one, and I just had a chance to catch up on episode two just in time before three airs. While I thought about writing about one, two had me punching the keys on the computer. – Not enough time spent on creation and the fall of man. The entire book is based on the events in Genesis 1-3, so I think much more time should have been spent here. – I’m not against “historical realistic” violence if you will, as Schindler’s List, Roots, and other realistic portrayals of what mankind has done to one another is something I generally do not shield from my children. The Bible itself does not do that. That said, the violence in this flick is not in The Bible! Where Scripture gives us details, put them in, but why add violence to accounts where the Bible is silent? Secondly, you know families are going to be watching this together, so why make it so graphic? Trust me, when I see someone’s head being held by a guy then his sword goes across his neck, I don’t need blood to convince me that he’s being killed. My kids get the message as well. So it is earning its TV14 rating, but for the wrong reasons in my opinion. – Next, the racial element. Therefore, if the program is trying to portray this 21st century realism, why still stick with the same old European-looking protagonist in most of the Biblical stories? 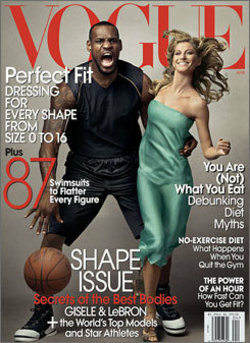 Then, the one darker-skinned person who is featured is Samson, who is big, black, and loves Philistine (white) women? Oh yea, he has a bit of an anger problem as well. 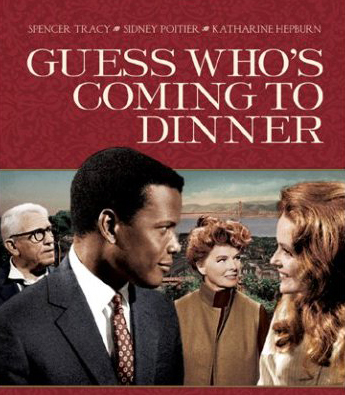 This guy isn’t exactly Sidney Poitier in Guess Who’s Coming To Dinner. I wouldn’t want Samson around my daughter either! But of all the stories to put in a darker-skinned actor, why choose and mold one into some Old Testament Jungle Fever tale? Sometimes I have to wonder if any of these shows have anyone from another people-group as advisors or in decision-making positions. While the series didn’t say, “This is a tale about an interracial relationship”, that’s exactly the subplot. If it were not, and all of these people were from the same region, why not make the Philistines from a darker-skinned people group as well? Now you completely remove the racial element from the story…just like the Bible does. If they would’ve asked LeBron, he would’ve told that brotha who played Samson, “Don’t do it man, I took some heat for this one! Well, show me his actual picture and change my mind. I’m sure this issue will come up again when they actually show “Jesus”. – Wait, did they just say that it was Samuel’s sons that were sinning before the Lord? What about, 1 Samuel 3? 12 On that day I will fulfill against Eli all that I have spoken concerning his house, from beginning to end. 13 And I declare to him that I am about to punish his house forever, for the iniquity that he knew, because his sons were blaspheming God,[a] and he did not restrain them. Come on folks, you at least have to get the people in the story right, we all have the script! If I heard or saw that one wrong, somebody please let me know. Okay, that’s all for now. I’ll be checking the other episodes just for entertainment purposes alone. But so far, I’ve been greatly disappointed and I expect better. I don’t agree with Mel Gibson theologically (or personally on many issues as I would later find out), but when he made The Passion, he got it right. I was hoping Mark Burnett’s The Bible would come close and in my opinion, he’s headed in the opposite direction. 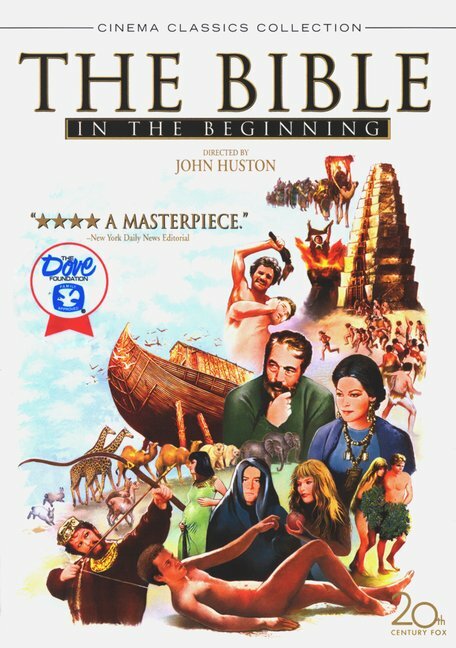 I expected certain portrayals in 1966 when The Bible: In The Beginning was released, as this was a much different country. But overall, at this point, I’d say it was a much better movie than this longer 2013 version.